…We need to change the way you are doing your banking. Nobody is average, but we can tell you that 52 of our clients followed our banking strategies to reduce their home loan balances on average by $28,621.15 in just 12 months. Most people take one look at that statement and say IMPOSSIBLE! However, it isn’t and it can be done. Mindset can hold you back, by thinking this can’t be possible or at least not possible for you, often we will stop reading and move on. Don’t. So, consider this. What if you paid your home loan off in 10 years or even 15 years, isn’t that better than 25 or 30 years? Of course it is. So let’s start with the mindset of ‘reducing the amount of years I am in debt for is possible’, then we can see just how quickly you can do it. Everyone starts from a different point, with different income and a different amount of debt so there isn’t any cookie cutter process and definite timeline. Everyone is different. I have seen people on tiny incomes do this really well and people on huge incomes fail. It isn’t how much you earn, and so often the more you earn the more you spend. The thing I look at is how much leakage and wastage you have, and how you actually do your banking. 1. By leakage and wastage I mean, where is your money going that doesn’t give you any pleasure, lifestyle or reward. This can be credit card interest, sneaky little amounts for subscriptions that you are still having deducted even though you aren’t using them. Late fees, account keeping or admin charges for paying monthly. It can also be reviewing your insurances, your health cover and electricity to find extra dollars too. 2. It is all about how you do your banking. We are taught, often from a very young age to do our banking a standard way and it really is set up to make the banks the most money. Let me explain. Most people do their banking like this. They have a couple of bank accounts, they often have a home loan, a car loan and a couple of credit cards, and even one of the dreaded ‘interest free’ cards from a furniture purchase. They then bank their money into their bank account, then pay their loan payments, then their bills, they may try to transfer a little into a savings account to try to achieve that ‘longed for’ holiday, or to save for Christmas and then life starts. There are mountains of other things to pay for like groceries, fuel, rates, rego’s not to mention kids! By the end of the week the account is empty and you feel you have been working hard and getting no-where… sound familiar? First of all, in an ideal situation, we should consolidate the credit cards and other loans like car loans into the home loan (remembering consolidation can be your best friend or your worst enemy). If you learn from the exercise and don’t repeat the same mistakes, it can be your best friend. If you get back into the same situation in a year or so it can be your worst enemy as it means you will need to consolidate again and again using good equity for a bad purpose. Once we consolidate the loans, we would then look at using some fast debt reduction tactics. Setting up an offset account or better still splitting the loan and having a portion as a line of credit is the beginning. Combine this with a cash management program, or a trackable budget that records what you are spending and compare it against what you budgeted for or planned to spend and you are really on the way to success. The added benefit of using a credit card for your spending and paying it out in full on the due date – which means you are using the banks money for free while your cash is sitting against debt reducing your interest. This is the magic sauce to increase your debt reduction and gives you ultimate control over your money. 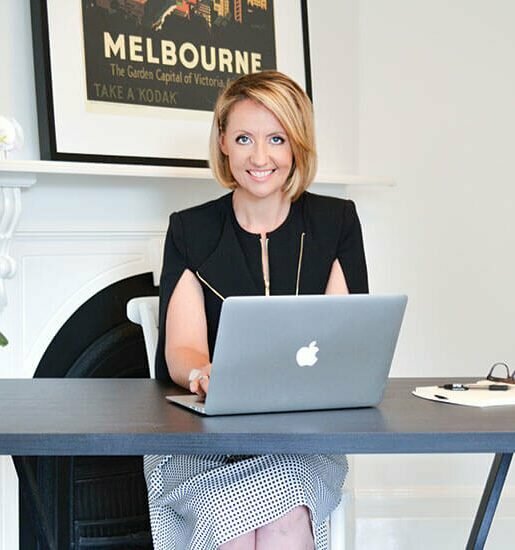 Is it easy… no, but with the right information, the right tools and the support of a wealth coach to keep it all on track – the sky is the limit. 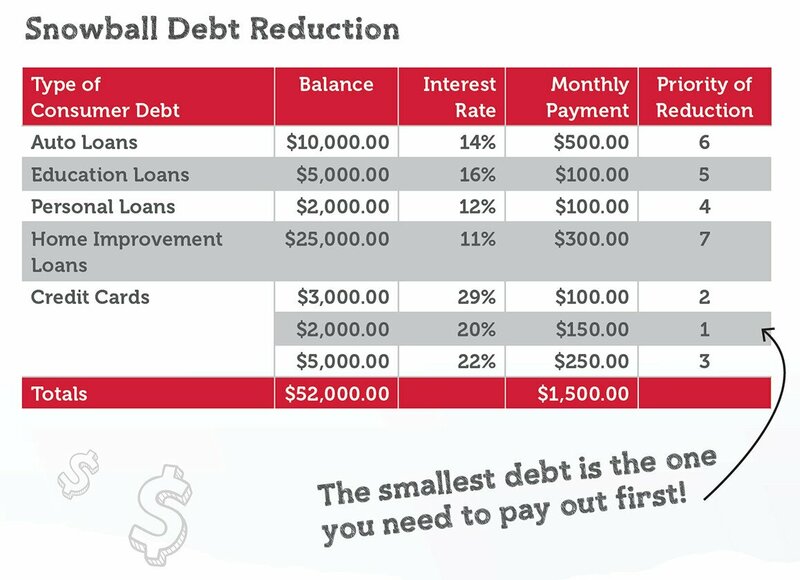 I have seen debt reduction of $25,000 – $90,000 in a year using these simple techniques. The trick is to get your advice from someone who has experience in doing their banking this way. I have even taught people who have worked in the banks for years and they couldn’t believe they hadn’t worked it out for themselves. So if a bank employee can’t get it, you shouldn’t feel too bad about doing your banking the wrong way. Reducing debt doesn’t have to be a pain. It doesn’t have to feel like you are missing out and it doesn’t have to be hard. In fact, it is a bit like weight loss. If you have to go without and if it is hard – it won’t last. It needs to be a change that is sustainable. It needs to be fun and we do all of this with the intention of improving our lifestyle not decreasing it. It might be worth having a chat about where you are starting from and what you want to achieve. We change peoples’ lives in 35 minutes. Make a time to see how we can help you. 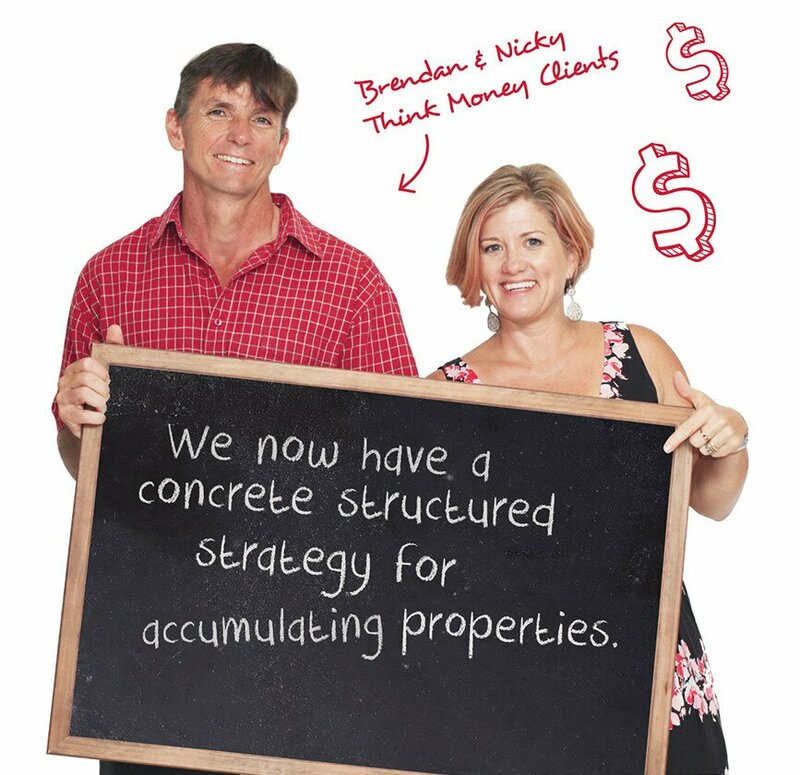 Call us today on 07 5430 4777 or visit thinkmoney.com.au. We guarantee it will change your life for the better. #3 More organised = more money!! Saving to buy something instead of borrowing can halve the price you pay for most items. This sounds boring to us in this ‘have it now’ world, however, compound interest working for you instead of for the loan company saves you thousands. There are 1.9 million people in Australia who invest in property, less than 2 per cent get to five properties or more. Why? They don’t keep their personal and investment money separate. I wish I had learned the key to successful investing and stress-free living was to keep these sides quite separate from each other. I wish I had been taught that a home loan doesn’t have to be a stone around my neck for 25 years, or best case, if I paid weekly or fortnightly, 17 years. What most people don’t know is that handled correctly a mortgage should be paid off in five to seven years just by doing your banking differently. 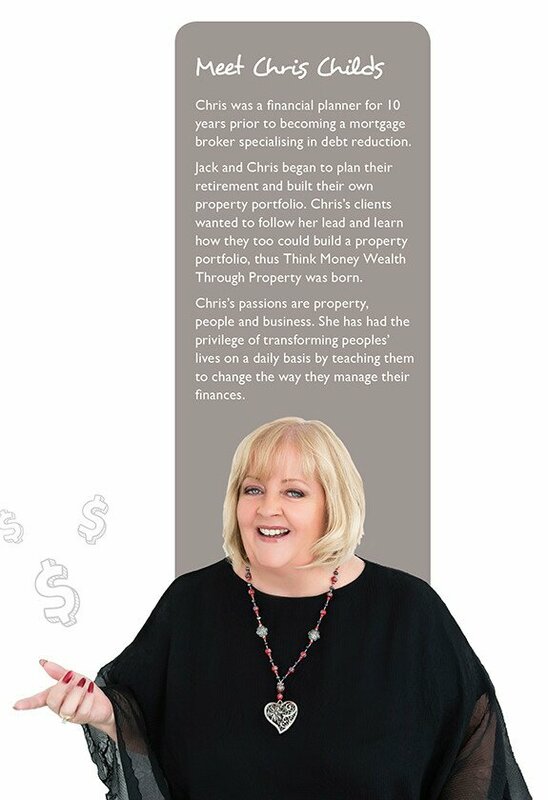 Chris continues to cover each of the 7 things about money over the next editions of Wealthy ‘N’ Wise. Having the right finance platform, and keeping your worlds from colliding is the secret to stress free investing. I teach my clients how to separate their life into two or three ‘columns’. 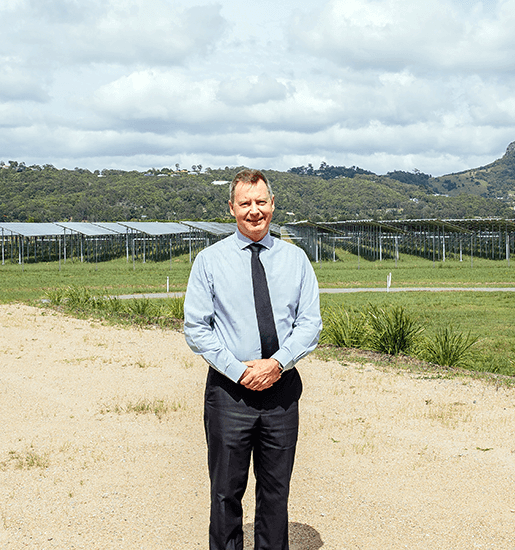 The columns are life, investment and if they have enough, Superannuation. For my business clients I add a column for business. By keeping all of these areas separate, you can quickly gain control and find where any problems of financial leakage are coming from. I then look at strategies to improve lifestyle because lets face it, lifestyle is everything. We look at the perfect banking structure for all of the sections of your life and most are amazed at the freedom that can be achieved purely by getting organized with their money and accounts. Unfortunately, most people get their banking advice from… a bank. Often we go to the bank with hat in hand and we are just grateful they agree to lend us the funds and accept whatever the bank manager says. It’s like asking the mouse where to put the cheese really. I look at how to make your money work for you, not the bank and concentrate on debt reduction, organization and the ability to invest. Separating your personal side from your investment side really is the key to success. In previous sections I have concentrated heavily on the personal side of things, because this is the perfect place to start. However, the true magic starts when you can concentrate on the investment side. True separation gives your property portfolio a chance to mature and stand on its own. By setting up a ‘buffer fund’ you can also protect your lifestyle from the ups and downs of investing as well. Most people never get to the investment stage for fear of loss of lifestyle, or because they feel they can’t afford to manage the holding costs. In fact in Australia 1.7 million people invest in property, and only 2% of investors get to 5 properties or more because they don’t separate their life from their investment side. Separating your personal side from your investment side really is the key to success. 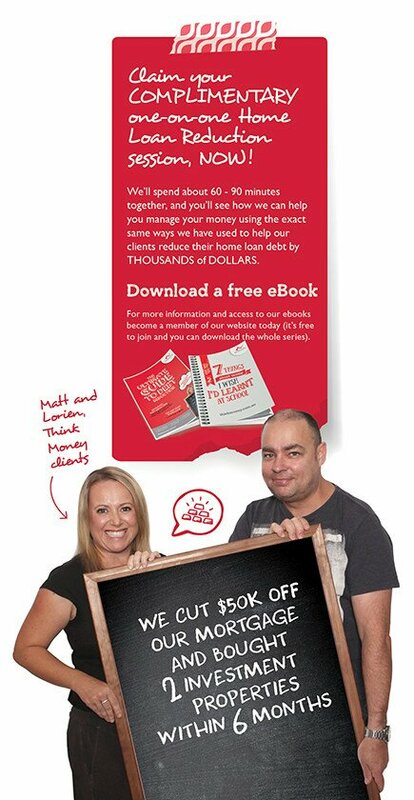 The complete e-book is available online at thinkmoney.com.au or Call 07 5430 4777 to get your copy. Is using your homes equity to invest in property risky? Having a self-funding property portfolio doesn’t require investing in higher risk, positively geared properties. Conservative properties that are negatively geared are just as easy to manage in the right system. Equity in your own home is the quickest and easiest way to get started. Many people fear using their property as leverage to purchase an investment property as they fear risking their home. However by having a clear plan and exit strategy, as the investment property increases in value, the bank would no longer require your home to form part of the security and the investment would stand alone. For those wanting to quickly build their property portfolios, using existing equity allows for faster accumulation of properties. Having the right finance platform is the secret to taking control of your finances, accelerating your debt reduction and successfully launching into a strong and sustainable property portfolio. With the right finance platform and the right advice you will not only be on the path to 10 properties in 10 years, you won’t have any investment costs coming out of your personal funds. There is never a bad time to invest in property, if you have the right strategy. There are few investments better than property. Residential property weathers the economic, social and political cycles better than most investments. Whatever your age or stage of life, property has both the flexibility and the wealth-building power to deliver an earlier, more secure, or more prosperous retirement. The main reason people struggle with wealth creation is because of lack of experience and the wrong strategies such as not separating personal and investment income and expenses. It is vital that your home mortgage, living expenses and personal income are kept totally separate from investment property debt, expenses and rental income. It’s a simple matter of getting the right advice. 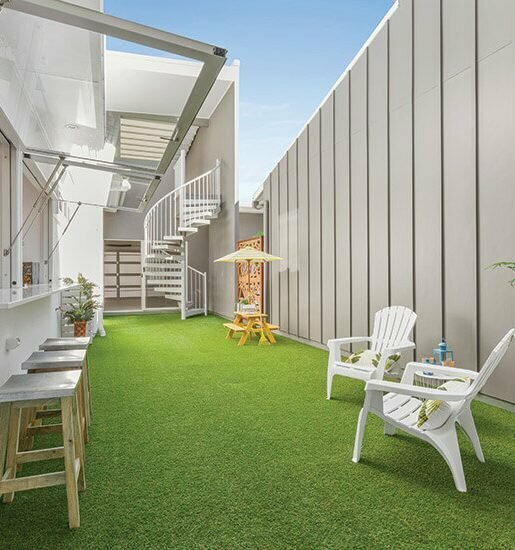 Of all the property investors in Australia, less than two percent own five properties or more. Worse still, more than 60% sell their property and get out of the investment market in the first 2 to 3 years. The secret to buying 10 properties in 10 years means understanding how to manage the holding costs of investment property, getting the right financial setup for an investor and knowing how to reduce your debt, not your lifestyle. Snowball debt reduction and credit cards! If you are already in credit card debt, or even distress, there are some fast and simple ways to minimise this debt. There are a few strategies that work well, and while there needs to be quite a bit of detail provided to get this strategy working well, I will give you the short version. List all of your loans on a spreadsheet similar to the one shown below. Choose the smallest debt to be the target of your concentration. Make the minimum payment on all of the cards or debts and following your budget, at the end of the week or fortnight, put all of your surplus money onto this debt. Do this each week until you have finalised this card or loan. Choose the next smallest debt, and as well as continuing to make all the minimum payments, put the minimum payment from the finalised loan onto this loan as well. This is ultimately doubling the payment. At the end of the week or fortnight again add your surplus funds onto this debt. You will start to see this debt disappearing faster than you could ever have imagined. Once this is gone, target the next debt to demolish. You now take the two minimum payments that you were paying on the debts you have paid out and add that to the repayment of the next debt you are concentrating on. Thus the snowball gets bigger and bigger, and your debts are reducing faster than ever before. That should be the end of the consumer debt battle, and you can concentrate on reducing your mortgage, saving for your deposit, a well deserved holiday or new car.